Hyndland Primary Digital Technology Fund! We are raising money to buy our school new technology products. Latest update! We've now reached our Stretch target so we keep going and we've added more products we'd love to get for our pupils - see below. Thanks again everyone for your support! UPDATE! We've reached and gone beyond our target already, thank you to all our donors so far for your generosity. So we have now stretched our target to £2,996.12 - see below what we'll buying with the money. Our Hyndland Hackers, our school Digital Leader team are running the project in the hope of purchasing new technology equipment for the whole school. We have been researching the different products we think would most benefit children from P1 to P7. 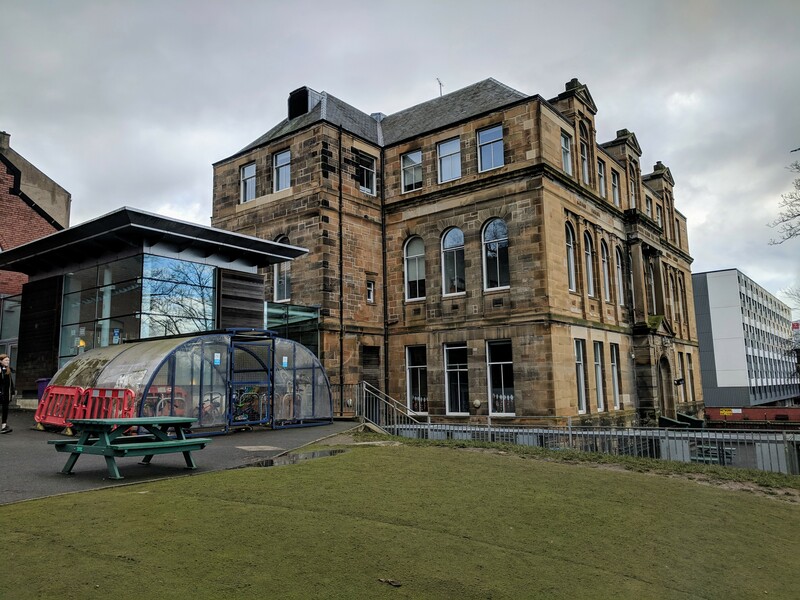 Our Hyndland Technology Project fund would allow us to purchase some Spheros, a class set of headphones, Dash and Dot robots, Merge VR cubes, some green screen sheets and some Blue-bots. We are hoping to purchase a variety of technology equipment that will be used at all stages throughout the school. Blue-bot – using a Blue-bot could benefit anyone in the school as they are a fun and interactive way of learning. Blue-bot teaches you the basics of coding, debugging and more. Blue-bots would be a better alternative to Bee-bots as you can see inside of it, learn about the configuration and control it through an iPad. Headphones – headphones are useful to use if you wish to hear what you are currently doing on your device without disturbing others. Everyone can have a set to use for themselves, and it would be a better alternative to using the computers’ speakers. Merge cube – merge cubes would be a great addition to Golden Time, but they also have many learning possibilities. The Merge cube is an AR toy that can turn into almost anything you want, games, landscapes, and can even show you realistic versions of human anatomy! Dash and Dot – they are fun and interactive robots. They can be programmed to do many things, such as move things around and play instruments, and can be attached to all sorts of cool accessories. They are a fun and creative way to learn coding at a very young age. Green Screen – Green Screens come with a great opportunity for the pupils to use their imagination and see it come to life! Green Screens are used by putting them in the background while recording, and in the post production process you can remove all green and create an alternative backdrop. This kind of technology would be of a great help to any pupil interested in production and drama! Sphero – Sphero is a fun gaming device that can roll around anywhere - it has a very similar mechanism to the beloved Star Wars character BB8. Sphero can also come clear so we can see the mechanism inside. That would be adding on £1,515.12 to our fund so our stretch target now is £2,996.12. Thanks for your help in getting us there! We would love to add to our target with a new portable PA system. At £159.99 it's bringing our overall target to £3,157. It would allow us to have a speaker system for our school shows. Thanks for your continued support, and Merry Christmas! If it is possible for you to donate, it would be great if you did. Although, if you’re unable, you can still share this project with anyone you know. You could share our project on social media, a website or blog, over text or call, or you could just mention it in person. We appreciate any and all support, whether you donate £5, £25, or nothing at all and instead share it with your friends, it would be a big help to us and the rest of the school. A great big thank you from our Digital Leaders! A personalised, digital thank you from our Digital Leaders! A personalised thank you letter from our Digital Leaders!